Street Dance Style: What Can I Wear? You don’t have to have the latest style of furry legwarmers or a trendy street dance tutu to come to a Street Fit® class. As long as you’re dressed in loose fitting comfortable clothes, and sensible footwear you won’t feel out of place. However, if you really want to embrace the street dance vibe, here is a top to toe rundown of street dance fashion. One of the icons of hip hop is the ‘hoodie’. Simply a sweatshirt with a hood on it, the ability of the hoodie to generate controversy is almost unparalleled, even leading to political bickering. During the emergence of the hip hop culture in the Seventies, hoodies were a popular form of attire for graffiti artists, enabling them to hide their identities. Since then, the garment has sometimes been associated with criminal behaviour. As hip hop culture has become more mainstream, so the hoodie has gradually shed its sinister reputation and is now generally accepted as an everyday item of clothing. Hoodies (and T-shirts) designed for the street dance market are often vividly coloured with eye-catching, provocative designs and motifs. They often draw on the graffiti theme, with lettering that appears to be ‘air-brushed’. Of course, you would quickly cook if you wore a hoodie to a Street Fit® workout; a loose T-shirt, mini-T or tank would be more appropriate for the dance floor. Although most of us associate baggy trousers with street dance, there are other options. Proponents of Jerkin’, a type of street dance from LA, wear skin-tight jeans, while vivid tutus and leggings are popular with the girls. 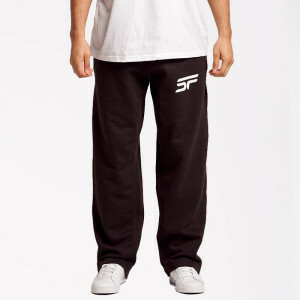 Fairly baggy jogging trousers are a safe option when working out, with shorts an alternative for the summer. Shoes are one of the most important considerations when preparing for a Street Fit® class. Specialist hip hop shoes are ideal, but tennis shoes are an adequate substitute. Running trainers should be avoided, where possible, since they are designed to restrict lateral movement. It is also best to have shoes that slide a little; brand new shoes might need a couple of weeks wearing in to take off some of that traction. 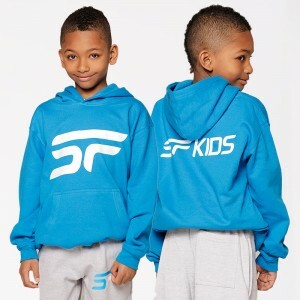 If you really want to look the part for a Street Fit® class, visit our shop at http://www.streetfit.tv/shop and take a look through our range of exclusive Street Fit® clothing. Featuring men’s and women’s styles and available in an assortment of bright colours, we’re sure you’ll find something to fit your style. http://www.streetfit.tv/wp-content/uploads/2012/01/whatcaniwear.jpg 235 700 admin http://www.streetfit.tv/wp-content/uploads/2014/07/StreetFit.png admin2012-01-27 15:36:432014-08-15 10:03:30Street Dance Style: What Can I Wear? Getting Ready for your Street Fit Instructors’ Course Street Dance Fitness: What’s it all About?